The Uga Experience unites Sri Lanka’s magic with the warmest hospitality of her people. Each one of our boutique hotels Sri Lanka embody detailed guest services. From their conscientious creation through environmentally friendly and sustainable practices, we ensure that our guests are luxuriously comfortable. Contemporary facilities are blended into the design, indulging you as you sink into the surrounding beauty. 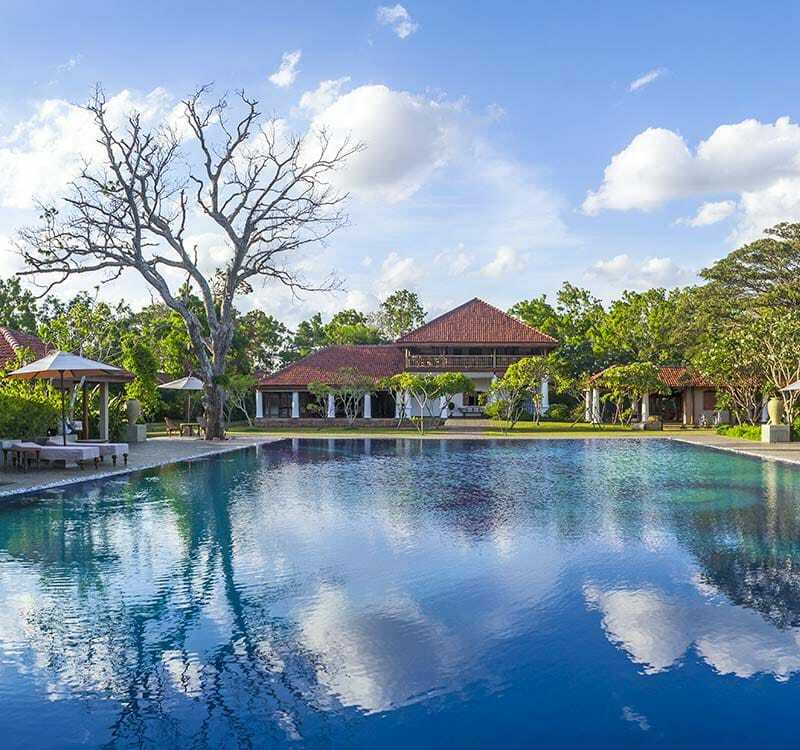 Our boutique hotels in Sri Lanka include Ulagalla in Anuradhapura, Jungle Beach in Trincomalee, Uga Bay in Pasikudah, as well as Residence – a unique boutique retreat in Colombo and Chena Huts in Sri Lanka’s safari hotspot Yala. 45% Off on Accommodation on Half Board & Full Board basis exclusively for HSBC Credit Cards. Use Promo code UGAJB and get special discounts on accommodation up to 40%. Use Promo code UGARS and get special discounts on accommodation up to 25%. Book within 30 Days to arrival and take advantage of a special 25% Off on Accommodation. Offer valid from today! Use Promo code UGACH and get special discounts on accommodation up to 20%. Book 30 Days before or more to arrival and take advantage of special discounts up to 30% Off. Whatever it is your heart desires, be it lazing by the beach, relishing cultural experiences or frolicking amongst wildlife, we’ve got you covered.